Weaving cloth by hand has been practised for thousands of years and is very much a human activity, engaging the head, the heart and the hand. Hand-weaving is totally absorbing. There are no short cuts – but it is the discipline and the precision of this skill that Deirdre Wood finds so liberating, allowing her to explore her own language of textiles. The cloth is hand-woven on a Swedish countermarch floor loom using a backed-cloth structure. 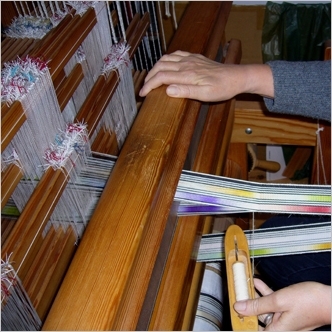 The natural yarns (silk, linen, cotton and wool) are selectively dyed before the warp is attached to the loom. 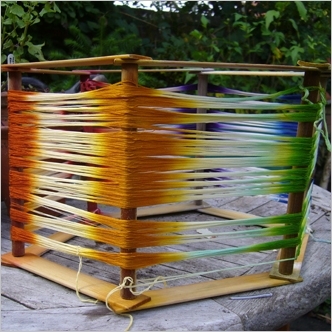 Dyeing is one of the most important aspects of the creative process and is both challenging and exciting. 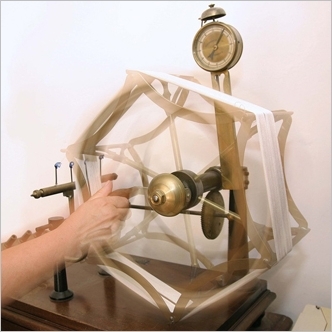 It demands a thorough understanding of colour-theory and the special dying techniques needed for different yarns. 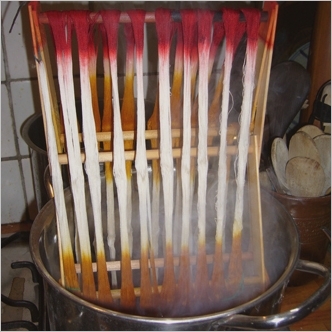 This kind of control is necessary for repeat-colours and to ensure that the beautiful, traditional dyeing techniques of IKAT and dip-dyeing can be used to best advantage.